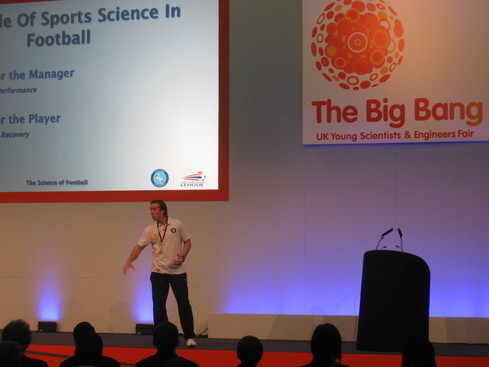 Gary will be appearing at The Big Bang: UK Young Scientists & Engineers Fair on Thursday 10th and Friday 11th March on behalf of Wycombe Wanderers FC and The Football League, to present a workshop on the role of Science in Football. 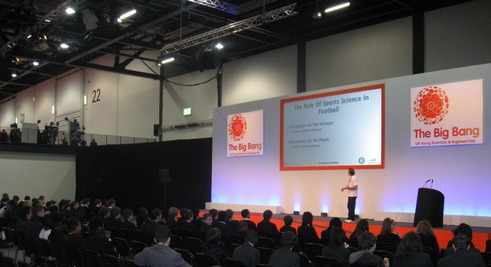 Involving over 110 organisations from across the private, public and voluntary sectors, and reaching out to schools and students across the country, The Big Bang represents a true partnership of the UK’s science and engineering communities. The event is led by EngineeringUK in partnership with the British Science Association, the Institute of Physics, the Science Council, the Royal Academy of Engineering, and Young Engineers. The Department for Business, Innovation and Skills, and the Department for Education both provide significant support along with a large number of sponsors from industry. 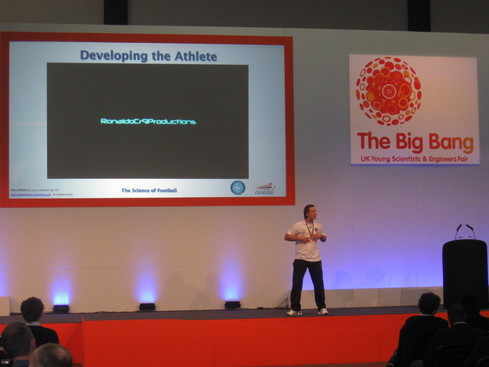 Last year's Big Bang event in Manchester, drew over 22,000 people. For more information, check out the link below. I look forward to seeing some of you there! 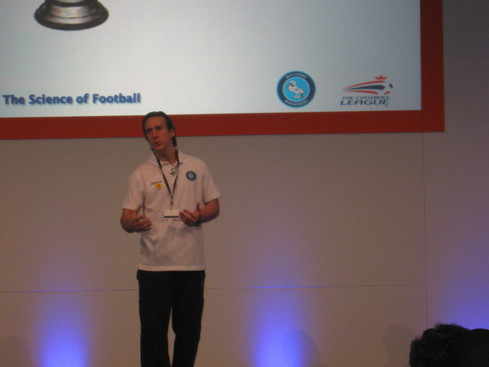 A great turnout at the Workshop, with a wonderful crowd of hundreds of budding Sports Scientists. Many thanks to all those who attended and participated in the discussions, and I look forward to seeing many of you back again next year! I hope you're all well, and sticking with your fitness resolutions for 2011! I'll be adding some new content and articles to the site over the next few days, including slightly expanded article versions of the 'Tip Of The Day' mailouts from the Facebook Group. Please feel free to mail with any suggestions you might have for articles/feature topics you'd like to see in the future.